Chorley hospital trust board pay private firm who advocate charging NHS patients. The trust running Chorley & South Ribble hospital and Preston hospital are paying private management consultants 'McKinsey' to draw up a financial rescue plan. 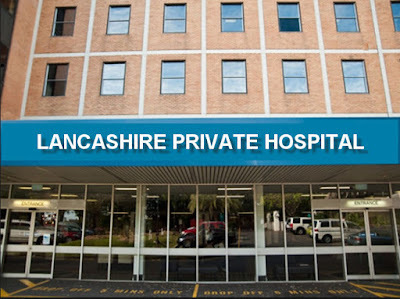 In their June board report, the Lancashire Teaching Hospitals NHS Trust, that covers hospitals in Chorley and Preston, claim that if the 'plan' is successful it will deliver a 'stretched' target of £34m to cover additional costs of A&E changes as well as the costs to McKinsey. In their June (2017) report, the Lancashire hospital trust claim it is experiencing cashflow difficulties and has a 'high' backlog of creditors awaiting payment. They state they have a deficit driven by additional costs associated with Emergency Department (ED) changes and are unable to achieve Sustainability and Transformation Funding (STF). The resulting financial impact is around £5m per month. Looking outside their organisation, the hospital trust are now seeking a solution to their financial problems from McKinsey, a global consultancy firm who in the past advocated charging NHS patients for treatment. The undisclosed amount paid by Lancashire teaching hospitals trust to McKinsey could eat into a large part of the hospital boards budget leaving less money available to provide quality services. The trust were recently awarded a score of 'requires improvement' by the Care Quality Commission (CQC) for the second successive time running.